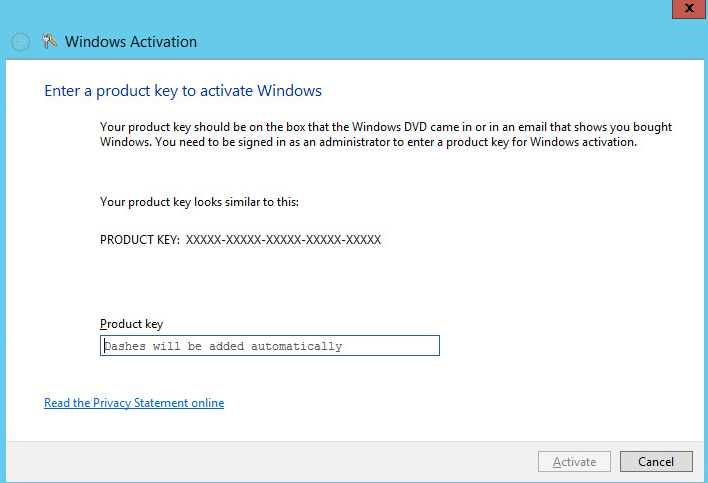 Change a Windows Server 2012 Product key? 1. 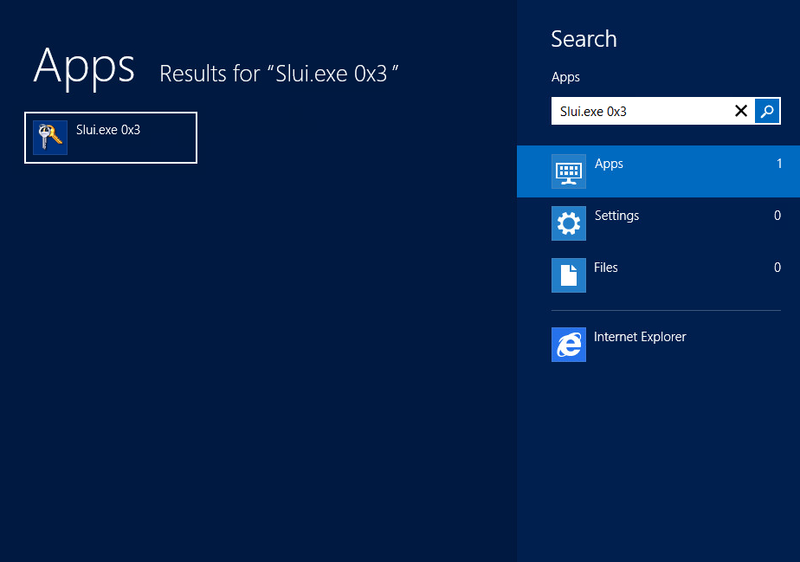 On Windows server 2012 -( with your mouse point to the lower-right hand corner of the screen) click Search. 3. When the activation screen pops up type in your new Product Key and Activate.